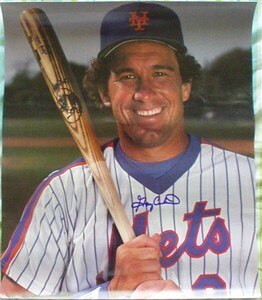 Gary Carter mini poster (about 14x16 inches) autographed in blue marker by the late Hall of Fame catcher. NOTE: has very minor flaws but suitable for framing. ONLY ONE AVAILABLE FOR SALE. With certificate of authenticity from AutographsForSale.com.